FROM THE BRAZILIAN NORTHEAST TO INTERNATIONAL MARKETS: HOW CAN RESOURCES CONTRIBUTE TO THE INTERNATIONALIZATION? 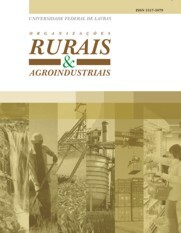 Strategic resources come as a facilitator in meeting the demands of the market, considering this the present research focuses on understanding: How strategic resources have influenced the internationalization process of Group FAN’s nut processing business over time? Through a retrospective study, data were collected mainly through technical visits and semi-structured interviews. The findings indicate that the organization has adopted three stages in order to become international: exportation; wholly owned subsidiary; purchasing subsidiary. It was verified that the strategic resources related to the product, the location and the entrepreneur formed the means by which it was possible to be internationalized.